Spirit and spirits blend seamlessly on this journey through the best of Japan, celebrating the Japanese culture for its quest for continuous improvement and the pursuit of perfection. 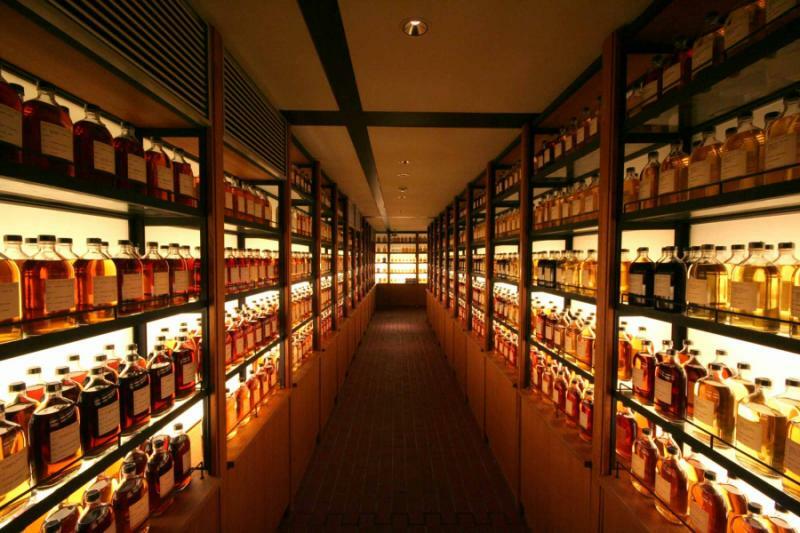 From the intricate smooth notes of the world’s best single malt whisky to the most coveted three Michelin star sushi, the soul of Japan is manifested on this tour through every mouthful, sip, and sight that embody the dedication and craftsmanship of its master distillers, artisans, and chefs. 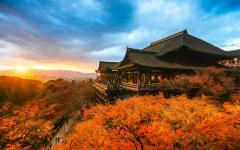 This 13-day tour summons to indulge on the most incomparable of experiences Japan has to offer. 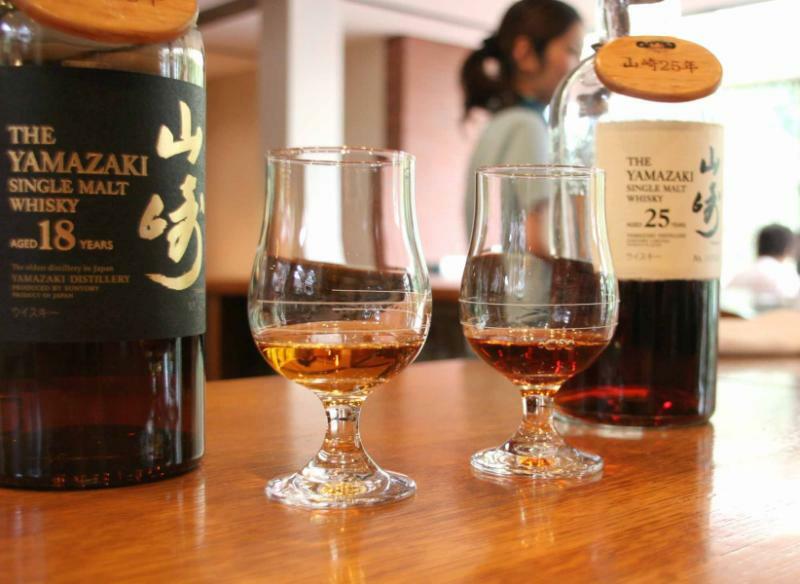 Savor the rounded brilliance of the world's best whisky with a tour of Suntory Yamazaki Distillery, its Single Malt Sherry Cask 2013 winning the lauded title in Jim Murray's 2015 Whisky Bible. 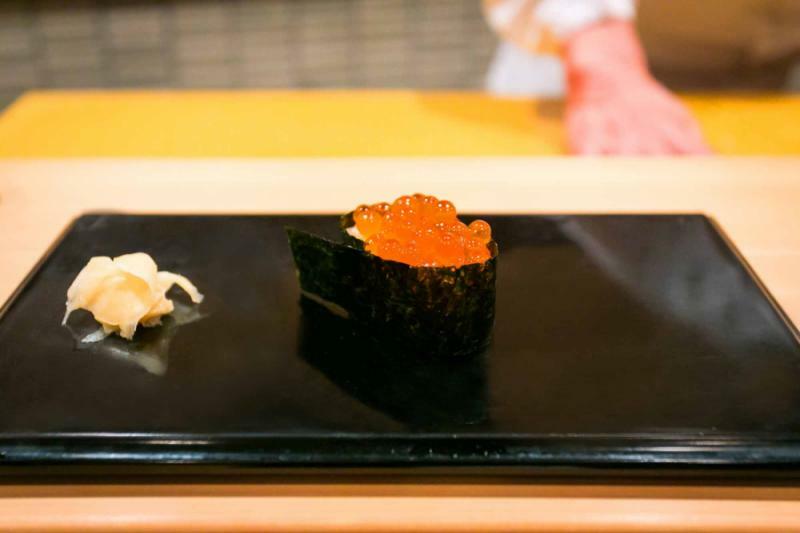 Indulge in the world’s most coveted sushi at a three Michelin star restaurant, Sukiyabashi Jiro, popularized by the documentary Jiro Dreams of Sushi. Explore the pursuit of perfection with a tour through the sake breweries that date as far back as the 1600’s in Kyoto and Takayama, an ancient town that delights in its enigmatic charm. 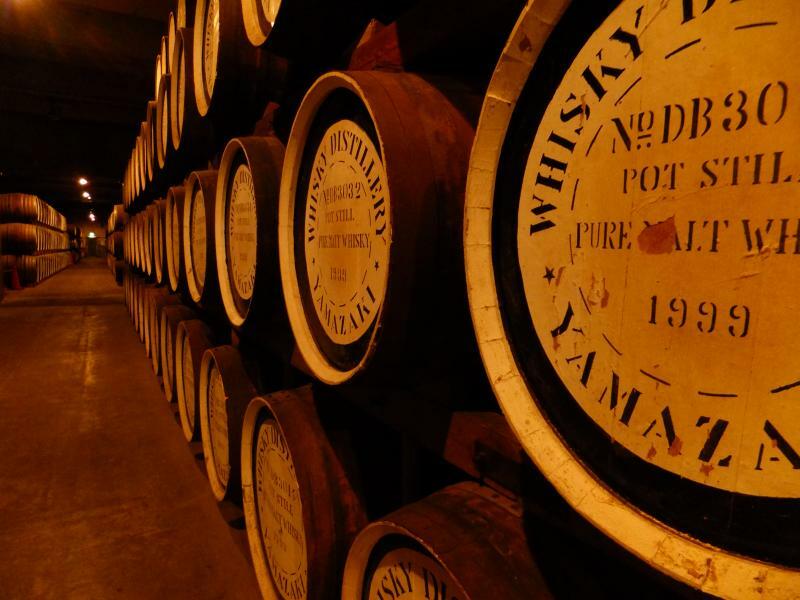 Discover the award winning Nikka malt whiskies at the Miyagikyo Distillery, recently voted whisky Distiller of the Year for 2015 by the International Spirits Challenge. Enjoy a change of pace and taste as you tour Osaka's beer breweries, including the first brewery of the #1 selling beer in Japan, Asahi Super Dry. Experience Japan's treasured sites, with private guided tours of Tokyo, Takayama, Kanazawa, Kyoto, and Osaka including, majestic gardens, golden pavilions, and castles. Journey through the very best of Japanese culinary perfection that travel the evocative depth of local cuisine and seasonal ingredients, including kaiseki, sushi, teppanyaki and tsukemen. Journey into the multiplicity of spirit with this tour celebrating Japan's continual pursuit of perfection. Rounded flavors and subtle tastes embody the dedication to the sublime, showcased as you journey to the world's best whisky, it's best distillery, ten sake breweries, and the gourmet indulgence of Japan's best chefs. Tradition continually forms with innovation as you tour iconic Japanese sights, the tour taking you to Tokyo, ancient Takayama and Kanazawa, Kyoto, and Osaka; sipping sweet sake mingles with the ancestral-tinged tradition of Takayama's streets; the world's best whisky distillery is preceded by javelins of light that dance through a bamboo forest; kaiseki dinners deliver subtle mouthfuls of Japan's seasons, the pursuit of perfection crafted into a single mouthful. 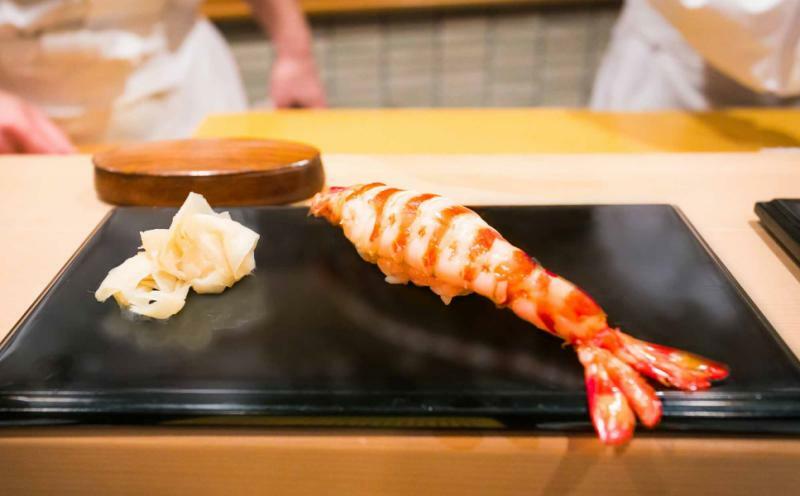 Japan has always strived to create the finest there is, celebrated with a thousand samples of sake, whisky, beer, sushi, kobe beef, korugewagyu, and the enigmatic surprises of master chefs. Over these 12 days you visit over ten sake breweries, the whisky distiller of the year, the Suntory distillery creating the world's best whisky, Osaka's famed breweries, and a succession of restaurants that craft culinary heritage into flawless dishes of indulgence. It's a celebration of spirits, but also an evocation of Japan's humble spirit to achieve perfection. Land in Tokyo and the world's best whisky distillery provides the first day of tasting, Miyagikyo creating rounded flavors beneath a ruggedly majestic mountain backdrop. On day two you explore Tokyo, journeying through its colorful districts and feasting on its eclectic treasures. Whisky distilled from Mount Fuji's streams, provide the highlight on day three, before you head to ancient Takayama for a smorgasbord of sake. Visit a whole series of sake breweries, reveling in streets of tradition and intrigue, then sleeping in one of Japan's best ryokans. Day six brings you to Kanazawa, another town of delectable antiquity, introduced with a unique tour of the Ninja Temple. There's a rare, almost elusive feel to the atmosphere and sake breweries, the pursuit of perfection elevated into the realms of the surreal. Now in Kyoto, the sublime sake tasting continues as you tour its breweries and museums, each sip is a symbol of Japan's effervescent spirit. 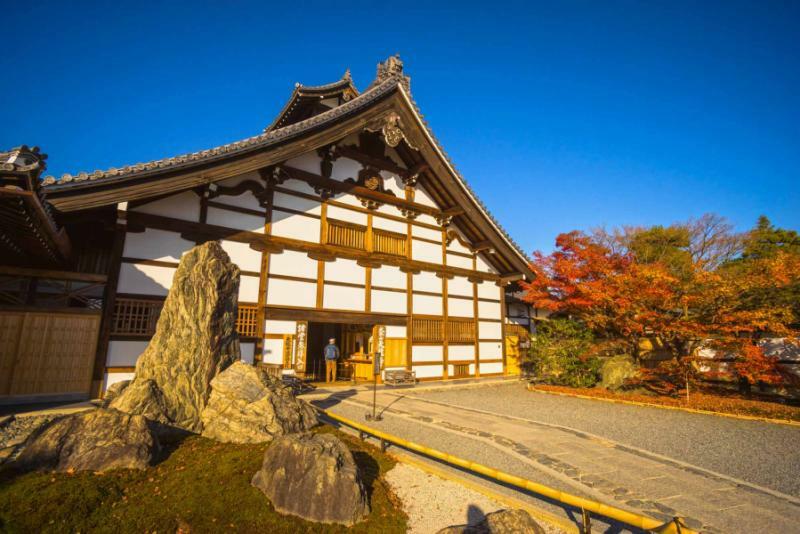 Explore the enchanting wonders of this heritage town on day eight, the golden facade of a Shogun's pavilion mixing with the serene Zen of temples and gardens. And on day nine comes the international exemplifier of Japan's pursuit, the 2015 Whisky Bible's best whisky sampled on a tour of the Suntory Yamazaki Distillery. Teasingly spiced and exquisitely bold, it's the centerpiece of this spirits of Japan itinerary. A change of pace and a change of taste as you arrive in Osaka on day 10, a couple of iconic breweries revealing the beer side to Japan's brewing prowess. 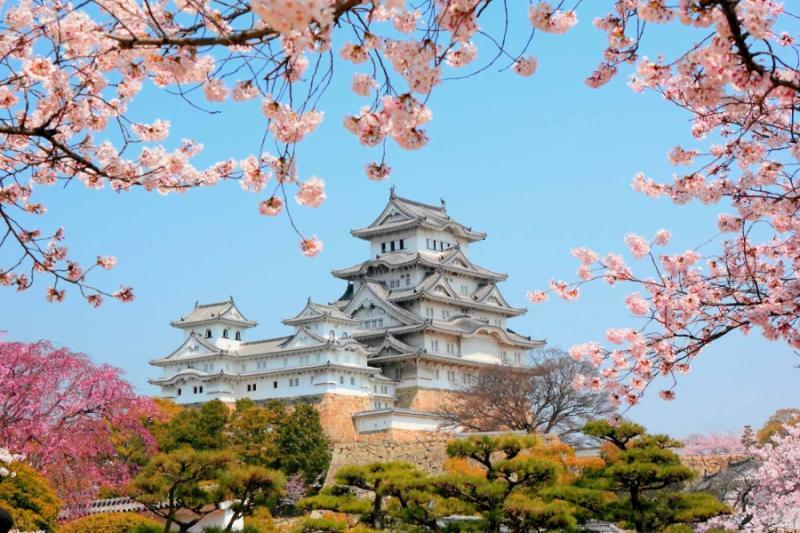 Explore a castle surrounded by blossom and journey into the futuristic facade, the days always accompanied by a sample of Japan's best restaurants. 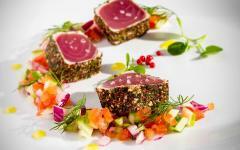 Throughout the itinerary, included and recommended dinners help exude the diaphanous splendor of the country's gastronomy, each dish and each mouthful reflecting the ancient desire to modestly objectify perfection. 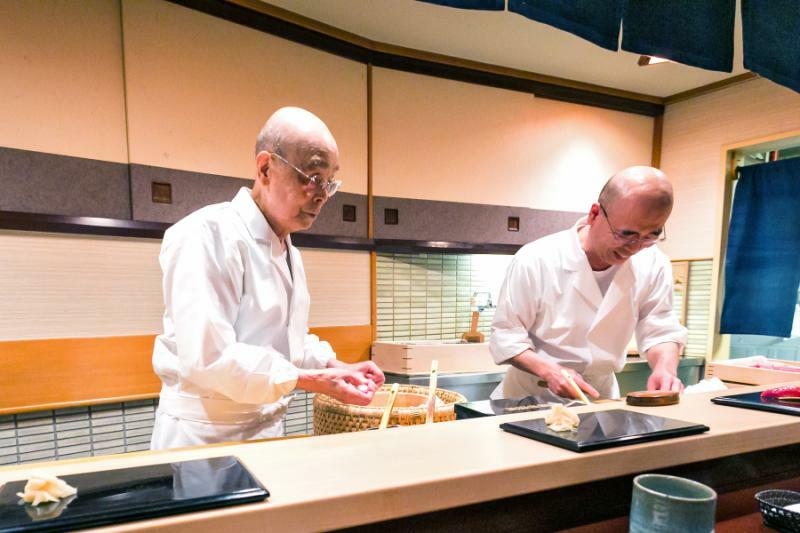 Return to Tokyo on day 12 and you dine at the Michelin 3 star rated Sukiyabashi Jiro, following Barack Obama's example to taste the wondrous creations of Jiro Ono. It's just another sumptuous yet delicate highlight on the journey. 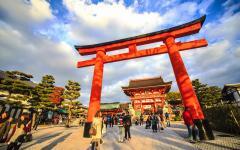 For more travel ideas in Japan, please visit the Japan tours section, and read about other Zicasso travelers' reviews. Dates are flexible and customizable for private departure. Japan's history is alive with myths and legends, the delicate notes of its spirits blurred into the sublime tastes of today. 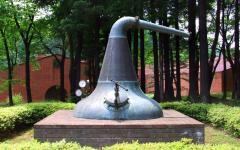 Take the Miyagikyo Distillery, enclosed by mountains and nestled between two rivers in Sendai. Legendary tales talk of Masataka Taketsuru starting whisky production after one sample of the unsullied mountain water - A fanciful tale? Maybe. Fast-forward to 2015, Miyagikyo Distillery was voted Distiller of the Year by the International Spirits Challenge, so perhaps there's a little more than mythology here. Arrive at Miyagikyo and the mystical reverie is immediately apparent, the distillery dominating a postcard setting, nobly standing on a landscape dappled with the elegant search for perfection. In the morning you'll land at Narita Airport, where you will be greeted and transferred directly to the five-star Palace Hotel and a deluxe room with balcony overlooking the city. Relax and settle in, the Tokyo skyline rising and falling away towards the horizon. 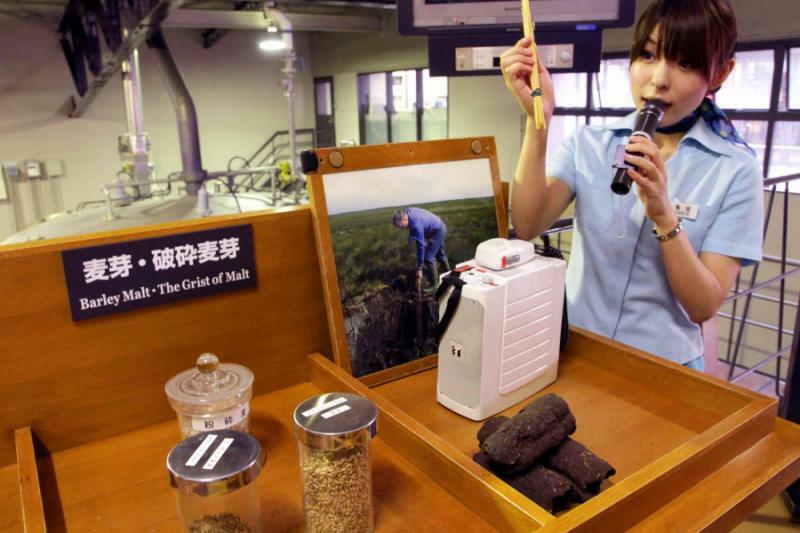 Your expert Tokyo guide meets you at Sendai station and guides you on a tour of the Miyagikyo Distillery, a place that happily opens its doors to those seeking to pursue the impeccability of its production. You're pulled into the natural setting, the distillery tucked away amongst a setting of diaphanous beauty. Then you're swept away by the complex fruit-noted tones of Nikka Whisky. Return to Tokyo and a dinner at Takazawa is recommended, the exclusive 10-seat restaurant expertly fusing French and Japanese cuisine. 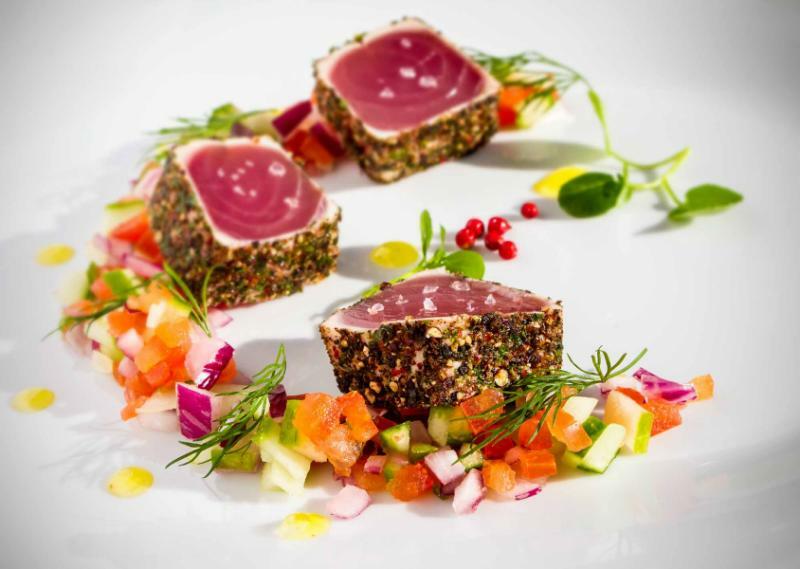 Voted one of Asia's 50 Best restaurants by the World's 50 Best, the intimate dining room is effervescently brightened by signature dishes like snapping turtle soup and purple asparagus, or a rock pool-like assembly of seafood served on a gentle dusting of powdered shrimp sand. Subtle notes prosper and mingle while there's always a visual surprise emerging from the kitchen. Tokyo seems to dance in the morning light, the tones of sunrise flickering off the towers of Shinjuku. Colors merge in the distant haze, the city quickly waking into a harlequin of light. Your local guide accompanies you into the city's dynamic neighborhoods, enabling you to feast on the idiosyncratic color. Start in Harajuku and Yoyogi Park, home to cult Japanese fashion and teenagers dressed like Japanese anime characters. A billion LED's flash in Akihabara, the electronic district flashing and throbbing with futuristic brilliance. 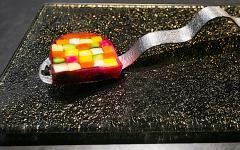 Now Ginza, sprinkled with luxuriant boutiques and odes to the fashionable intent of the country's elite. 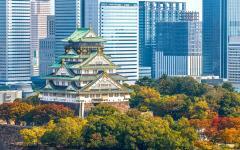 You travel on Tokyo's impressive metro system, piecing together the jigsaw of distinct neighborhoods. Dinner is at Fu-Unji, a timeless and iconic ramen shop that transcends the city and its distinct neighborhoods. Locals queue around the block for tsukemen, the sumptuous straight noodles dipped in a double soup of boiled chicken and fish. A vibrant sociable atmosphere fills the small dining area, mingling with the rising steam from a new serving of Tokyo's favorite dish. Tokyo's neon drifts away, replaced by the distant cone of Mount Fuji, the majestic icon of Japan ringed by five exquisite lakes. Travel by rail, hurtling from cityscape to these natural aquatic counterpoints, first dipping into the Picasso's and Henry Moore's of Hakone Open Air Museum. From Odawara Station you're escorted by private car around Hakone, the mysterious peak of Fuji a constant compass point in the journey. 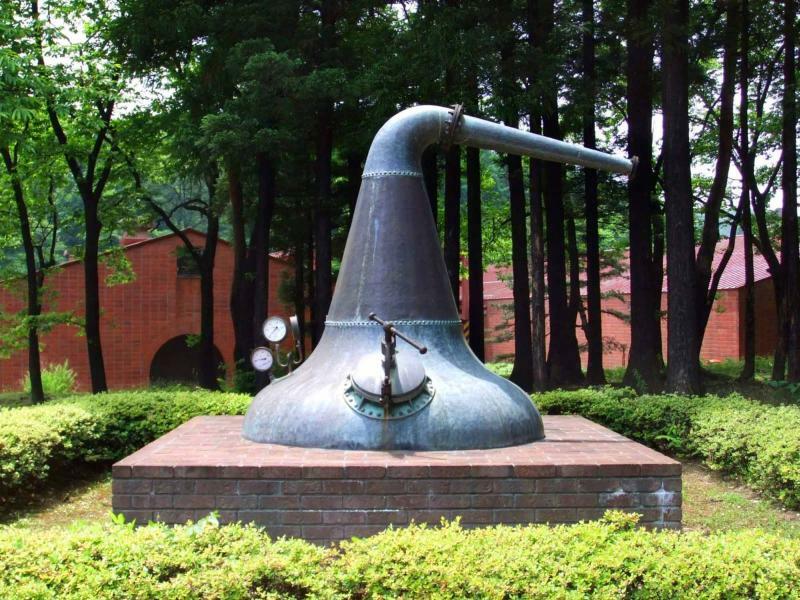 Snuggled into the mountain's forested slopes, elegantly illuminated by Fuji's cone, you'll find Fuji Gotemba Distillery. One single malt and three grain whiskies are produced here, each sampled with the spellbinding backdrop of Fuji and her subtly green slopes. Slip into the natural reverie and sample their unique setting, each whisky emerging from the waters of Fujisan that trickle down from above. 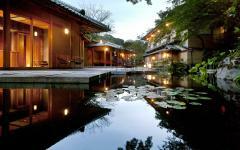 A traditional Japanese Onsen, or spa, can also be visited during your time in Hakone. You'll be dropped at the train station for the return journey to Tokyo, where tonight's recommended drinks and dinner also delights in its authenticity. 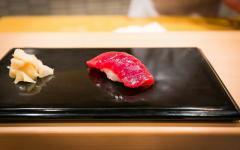 Like Mount Fuji, kobe beef has come to symbolize the bashful majesty of Japan and its culture. While kobe very much epitomizes the pursuit of perfection, it's not in the Japanese spirit to over-celebrate. This iconic meal is bold and confident yet it's not over-embellished. Ascend to the 52nd floor of the Park Hyatt, where you can relive Lost in Translation at the New York Bar. Then move across to the dining tables of New York Grill, where the kobe beef comes with the soft multiplicity of tender tones. The scent of sake floats through the small town of Takayama, winding through neighborhoods that fulfill all daydreams of traditional Japan. 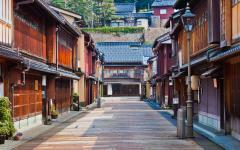 Wooden roofs slant with timeless grace, hanging over serene untrammeled lanes. 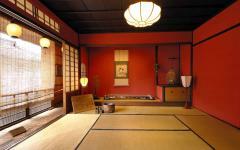 This is a place of tradition, of sleeping on tatami mats in an elegant ryokan. 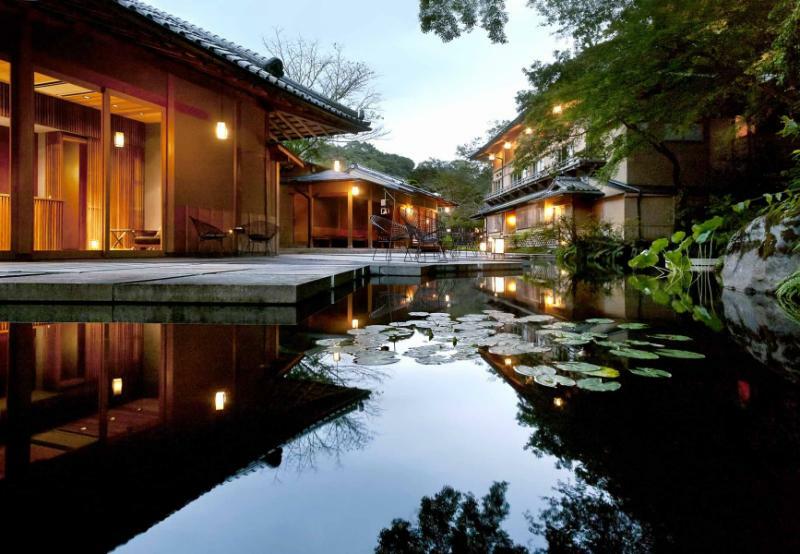 Honjinhiranoya Kachoan is one of the finest ryokans in Japan, a luxuriously tranquil overnight stop that symbolizes the bucolic splendor of Takayama and its history. 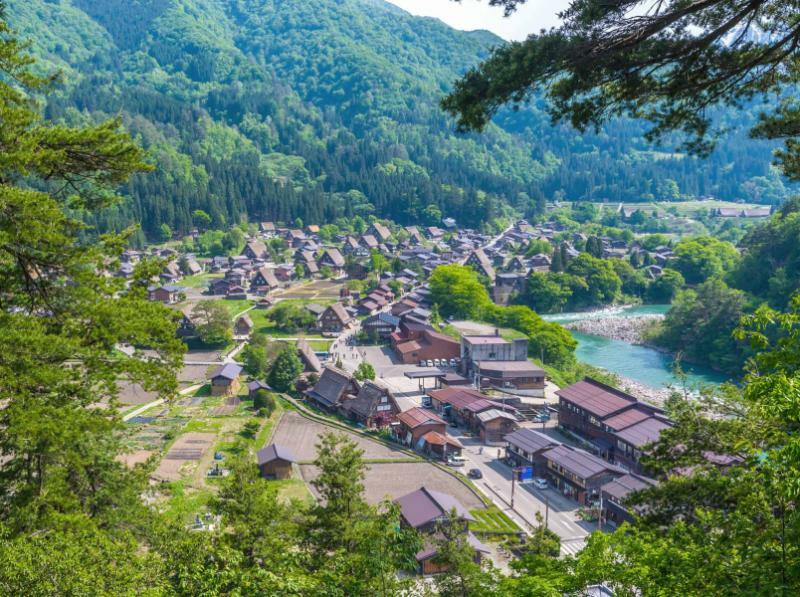 With your JR Rail Pass you leave Tokyo and meander through the countryside to Takayama, a five hour journey that's dominated by softly-changing landscapes. Your luggage is transferred directly to Kyoto with Japan's luggage porter system, so you just need to pack a small bag for the next three nights in Takayama and Kanazawa. 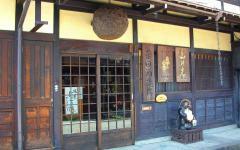 In Takayama's quaint downtown you can walk from sake brewery to sake brewery, a local guide tailoring the visits to your exacting tastes. Be transported back to the Edo period as Hirase is Takayama's oldest sake brewery - almost 400 years of brewery history that continues its specialization in Hido and Hyogo rice. Kawashiri's search for the perfect spirit utilizes only local Hidahomare rice, the sake stored and fermented for up to four years. Walk slowly, past the wooden frames of history to Harada Sake Brewery, sampling their Sansya sake that dates to 1855, and their modern jingo sake refined by nectar extract. Each sip of sake adds further enchantment to Takayama, historic Japan manifested in a compact old town sprinkled with blossoms. Sample a range of unique flavors at Hirata Sake Brewery, including the ten year old Suiou, multiple winner at the national sake brewery contest. Keep walking, stepping across the hues of history to Oita Sake Brewery. Distinctly dry tastes have made this a local favorite for over three centuries, making it perhaps the ideal souvenir to reflect Takayama. Then there's Niki Sake Brewery, with its highly polished rice and colder temperature fermentation, and the ancient rice that's used at Funasaka Sake Brewery. Each of the seven blends tradition with proactive experimentation; always innovating in their pursuit of perfection. Completing today's elaborate celebration of Japan's tastes is a kaiseki ryori dinner at your ryokan. These social celebratory dinners now revere sake as much as they do tea, serving a continual array of small dishes that journey through the culinary essence of Japanese food. Each dish is defined by delicacy and subtlety, a myriad of textures and flavors working their way across the palate, opulently accompanied by the best of Takayama's sake. It's a timeless meal in a timeless setting, imbued with an aristocratic ode and preference for the delightful. Continue the sake visits through the morning, wrapping up any Takayama breweries that couldn't be reached yesterday. Sample your way through history, sipping on the sumptuous hues that cascade across the town. When a foreigner thinks of sake they think of Japan. When a Japanese person thinks of sake they think of Takayama. 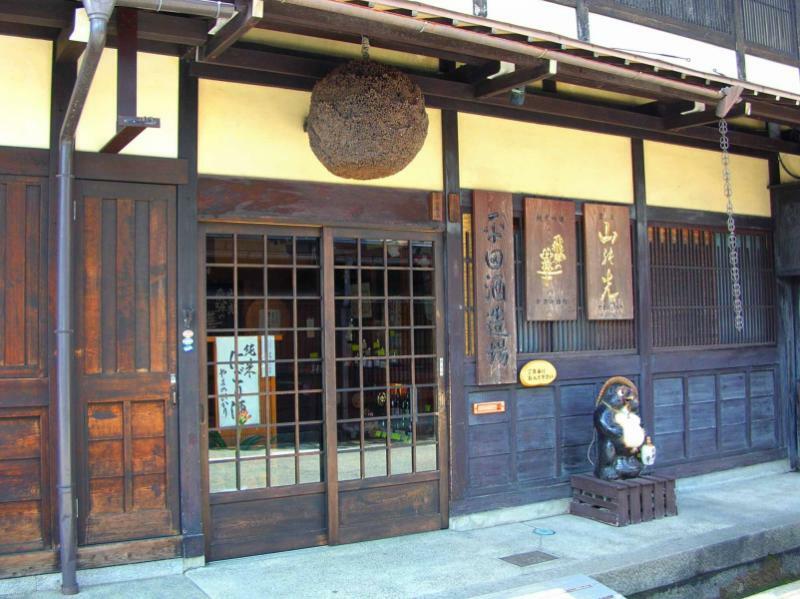 Peek further into the town's past by exploring the Hida Folk Museum and wandering a final journey through these antiquated alleys and streets. From here it's a two-hour train journey to Kanazawa, another town that revels in its presentation of historic Japan. 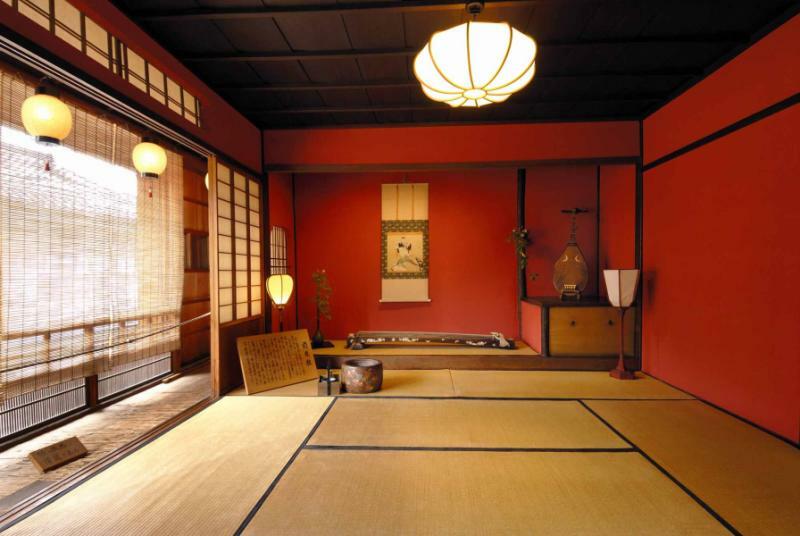 You're staying in a Machiya, a traditional townhouse that's been carefully converted into accommodation for those seeking to sleep amidst the beauty of Japan's past. 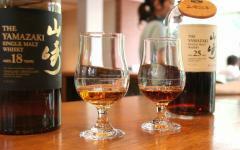 It's in places like Takayama and Kanazawa that the idiosyncrasy of Japan's spirits really reigns. This search for perfection is not an art form; it's an inherent part of culture, continually evolving yet always respecting the ancestral pioneers. 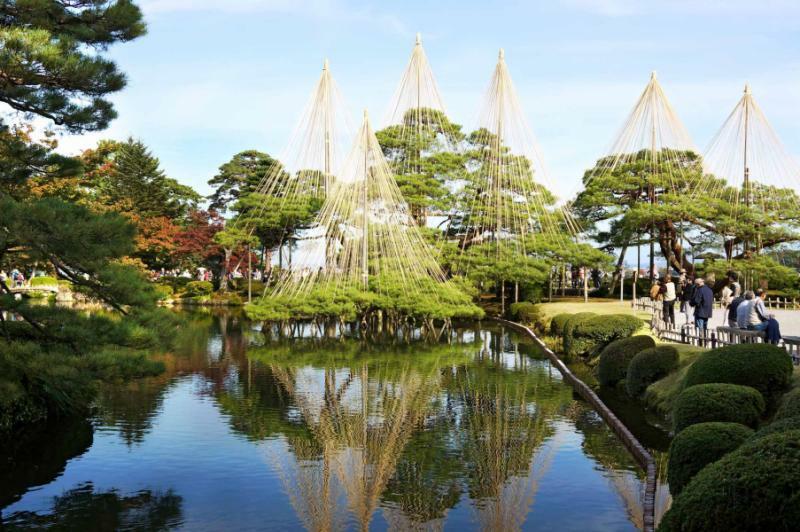 Arrive in Kanazawa and spend the day on a privately guided tour of the town's sights, including the hypnotic foundations of Kanazawa Castle and the blissful atmosphere of Kenroku-en, considered to be amongst the three most beautiful gardens in the country. Meander along the paths that blossom with the seasons, footsteps the only break in an atmosphere of silence. If there is time there's the option of also visiting Kanazawa Art Museum, one of Japan's best for modern art. A second kaiseki ryori is recommended for tonight's dinner, locally famous chef Shinichiro Takagi welcoming you to an evening of multi-course delicacies as seductive on the eyes as they are on the tongue. Inspired by the bounty of the Sea of Japan and fresh seasonal ingredients, the assemblage of small dishes is served in a humble setting, allowing the flamboyance of taste to shine even brighter. Alain Ducasse was once welcomed here at Zeniya and this gastronomic haunt is well regarded to be amongst Japan's finest kaiseki ryori experiences. The succession of dishes connect the categories of Japanese cuisine, blending the tea ceremony tradition into vegetarian temple food of Buddhist monks, then the rich imperial flavors of samurai gastronomy and the modest yet tasteful samples of local life. A mysterious atmosphere hangs in the air of Myoruji, or Ninja Temple; a highly sought after attraction in Kanazawa. Fearsome surprises are discovered on this very rare opportunity to discover the complete inner workings of an ancient temple. With no photography allowed inside, few Japanese temples are loaded with such an enigma as Myoruji, the walls alive with the trappings of legend. Nearby, the Omi – Cho Market introduces you to some of the finest sashimi in Japan, delicate offerings carved across tables of raucous ambiance. Kanazawa is full of hidden and modern sides, each explored on a one-day tailored private tour with a local guide. Central to Kanazawa's rich evocation of history is the Yachiya Sake Brewery, some 400 years old and widely considered to be the best in the region; you'll see this sake served at all of the town's best restaurants. A brew master reveals some of the secrets, guiding you through the production as you sense the essential spirit to Kanazawa. This sake epitomizes the town, exuding a rare almost elusive feel, much like the Higashi District where geishas wander past the relics of teahouses, or Kazue-Machi Chaya District, where Edo era houses are layered in the gentle creeping of moss. Today's tour-dots are connected with a tourist bus pass and all entrance tickets are included. For tonight's dinner, the Otomezushi restaurant is recommended. Hidden down an alley, this tiny restaurant leaves you in the skilled hands of Kazuhiko Tsurumi, the third master, or Taisho, in the restaurant's 50-year history. 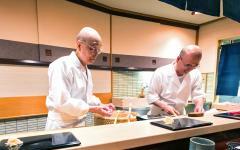 It's generally considered that it takes a sushi chef ten years just to perfect the basics. Tsurumi has been doing it much longer than that. He blends high-grade koshihikari rice with the best from Kanazawa's coastline, controlling the freshness of the seafood to produce a long series of enchanting mouthfuls; another treat of rare and almost elusive feel. This is lauded as one of Japan's very best sushi restaurants and featured in The Wall Street Journal's Scene Asia. Consider the omakase menu, similar to a degustation menu yet with each of the many dishes consisting of just a single exceptional mouthful. Kyoto blurs the distinction of spirit and spirits, its ancient sake breweries standing amongst the tales of Japan's past. 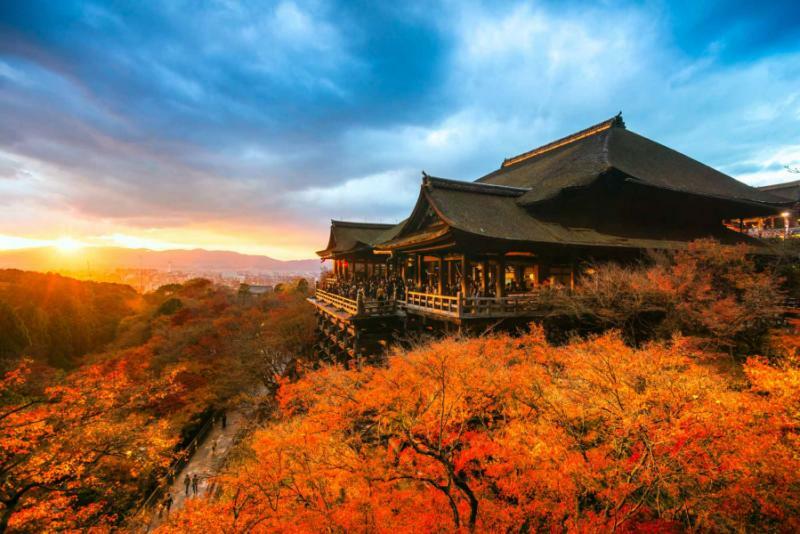 Kyoto is ancient Japan, one of the world's great cultural cities and home to 17 World Heritage Sites, 1600 temples, and over 400 Shinto shrines. After the 3.5-hour Shinkansen train ride you'll be given a three-day Kansai thru pass for your time here. Check in to the Ritz Carlton and explore during the afternoon, wandering lanes dappled with the unmissable scents of history. Head to Gekkeikan Okua and Kinshi Masamume, two museums dedicated to the craft of brewing sake and the history of Japan's iconic spirit. 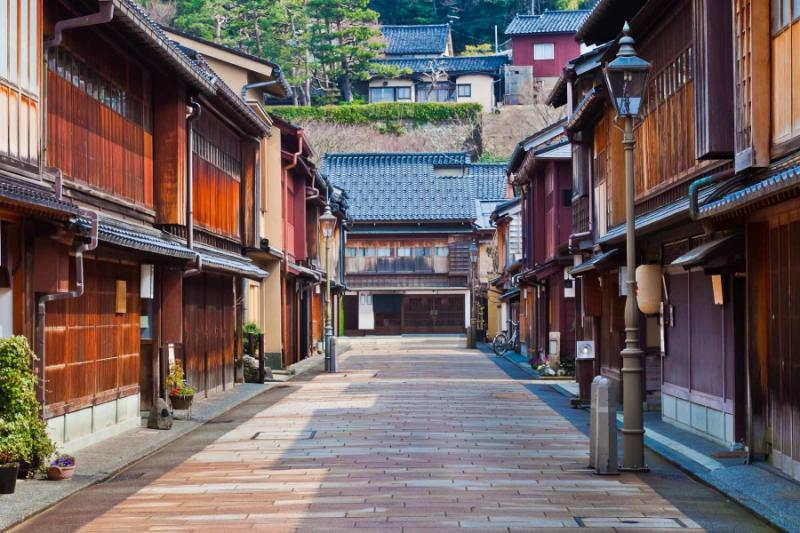 Kyoto dances to an historic beat, the streets softly resonant of yesteryear's rhythm. 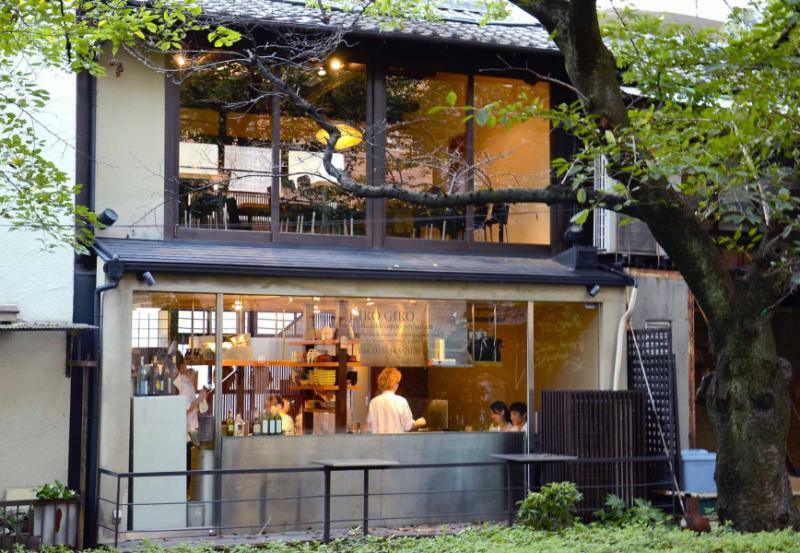 Continue to step backwards in time with the sake breweries that lace the Kyoto ward of Fushimi, their white walls juxtaposed with elegant rows of willow trees and the Horikawa River. 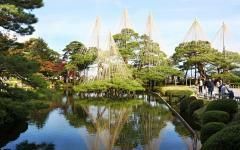 Many can be visited although the following are recommended for their timeless role in the production of Japan's spirit. 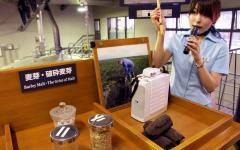 Yamamoto Honke Brewery dates to 1667, their sweet sake a pioneer in Kyoto's history. Matsui Shuzo Sake Brewery is modern by Kyoto's standards, dating to the early 18th century. For almost 300 years they've only brewed small batches and sold locally in Kyoto, perfecting their taste to the palate of the ancient city's population. Legend and life mixes easily in Kyoto, the two intermingling until spirit and spirits are equally challenging to separate. Continue the Kyoto journey, winding past the streets of antiquity to the spiritual Tori gates of Fushimi Inari Shrine, a transcendental slice of history perched above Fushimi. Now a Kyoto Maiko experience, where tea-pouring rituals are accompanied by songs and music, the verses concocting tales of the Maiko, an apprentice to the Kyoto Geisha. Finally, tonight's recommended dinner offers a quintessential local experience, the Kyoto udon noodles soft yet still chewy at legendary local haunt Omen. 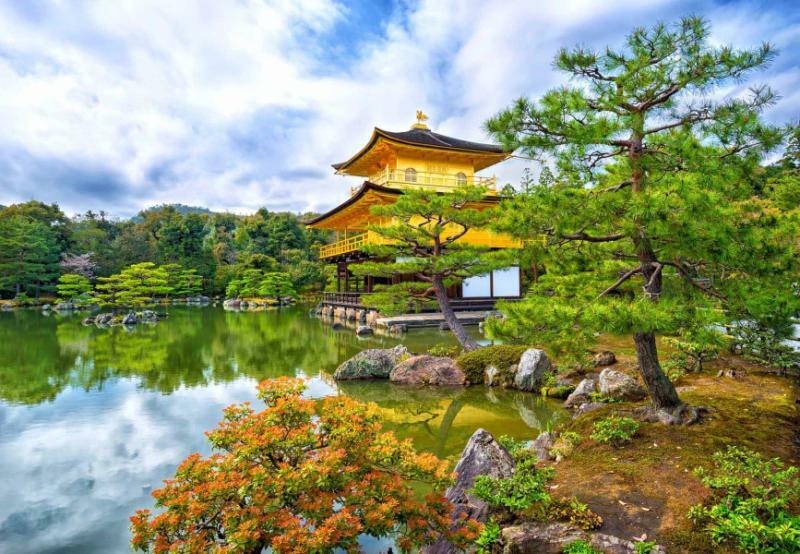 Gold leaf glistens, juxtaposed against dreamy forests and the quaint pond of a temple garden. The colors collide, so much from nature's spell mixed with the excess of Kyoto's 14th century Shogun. 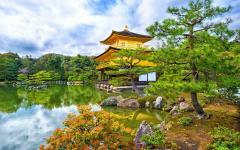 Today you tour Kyoto's historic architecture and temples with a private guide, starting here, at the Golden Pavilion, well before the other tourists arrive. 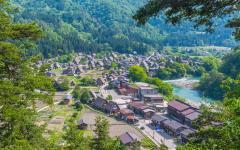 Ascend above the city to Kizomizu Deru, a Zen temple with dramatic panoramas over Kyoto. Across this elevated suburb are hundreds of temples and shrines, each its own distinct jigsaw piece in the city's chronicles. 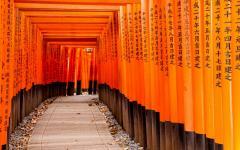 Today is relatively flexible and can be tailored to include many important temples or gardens in the city. Tonight's included dinner is also a chronicle, a Japanese modern kaiseki meal that tells a story of the seasons with the timelessly elegant style of Kyoto. Giro Giro is among Japan's best restaurants, the culinary story mixing Kyoto's tradition with innovative modern influences; think dishes like diakon rolls filled with sweet potatoes and fois gras, or raw caramel infused with roasted green tea, then an equally delectable dish to continue the journey through the seasons. Completing the day, you may wish to visit craft beer bar Bungalow for a sample of the country's best microbrews. In Jim Murray's 2015 Whisky Bible it's not a Scottish single malt that takes away the gong. 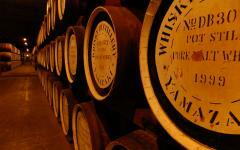 To the surprise of the Scots, a Japanese distillery produced the world's number one whisky. That's not a surprise to anyone in Japan: the Suntory Yamazaki Distillery has won the International Spirits Challenge prestigious Distiller of the Year title in four of the last six years. 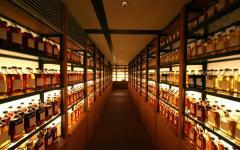 The Yamazaki products are awarded some of the top honors of whisky on a yearly basis. Murray labelled it a drink of “near incredible genius” going on to exude the exquisite boldness and lingering teasing spice of the Yamazaki Single Malt Sherry Cask 2013. Today you enjoy a tour of this unique distillery, sampling the rounded notes of the world's best whisky and comparing it with a wide range of the distillery's other single malts. Tucked into the foothills of the Tenno Mountain, Yamazaki reflects the continual strive for flawlessness, as well as the unnerved marrying of tradition and innovation. It's the spirit highlight on a whole itinerary of spirits. 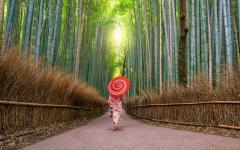 With the afternoon dedicated to the Suntory Yamazaki Distillery, the morning is spent in the bamboo forests of Arashiyama. Javelins of light flicker through the trees, casting a waltz of light and shadows between the reeds. 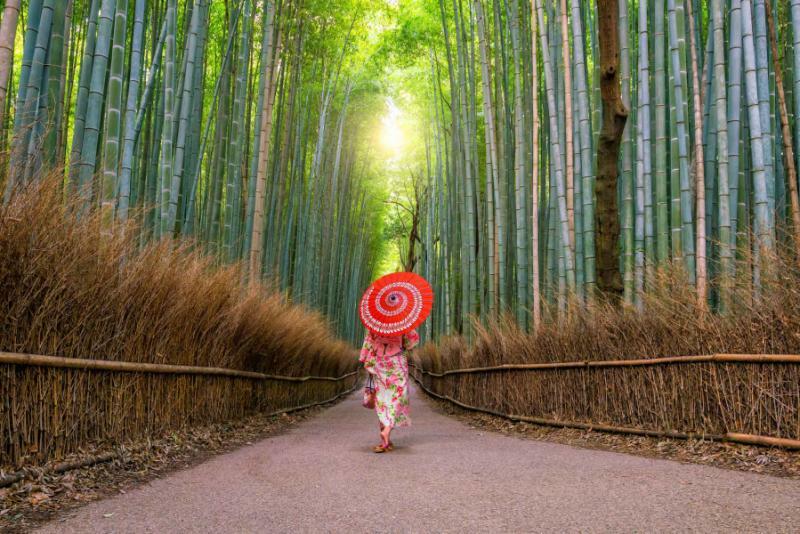 Wander along the path, immersed in the harmonious show, before the bamboo rescinds and the serenity continues with Tenryu-Ji Temple, the largest Zen monastery in Western Japan. After the world's number one whisky, for a recommended dinner, korugewagyu beef offers another rounded taste and texture. 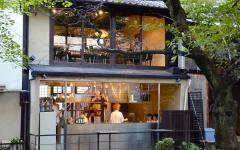 Sampling it with a sukiyaki meal at Moritaya Kiyamichi is the evening's recommended dinner. Seared with brown sugar, soy sauce, and sake, the beef slices come with a pungent aroma yet remain almost-impossibly tender and succulent. This beef is raised on site and has been for some 140 years. A change of taste today, the historic lanes of Kyoto shift into the vibrant city streets of Osaka, full of flashing lights and the country's futuristic tones. It's just an hour by train between the cities, where a deluxe room at the five-star Ritz Carlton Hotel provides your accommodation. A change of flavors as well as you tour the Minoh Brewery, a local favorite that jumped to international claim when their stout won Best Stout at the 2009 World Beer Awards. Sample their rare Double IPA and journey through a succession of quirky brews, each a fitting continuation of the continued search for perfection. While the taste switches from sake and whisky to beer, the spirit of Japan lives on in this brewery. Dinner tastes also change now you're in the city, the reverberant edge of Osaka epitomized by the showy presentation of teppanyaki. Teppanyaki Kiryu is recommended as a showcase of this flamboyant style, their wagyu beef and fresh seafood amongst Japan's finest. It's the best rated teppanyaki restaurant in a city known for its teppanyaki. As night falls Osaka is ablaze with lights, dazzling storefronts and gleaming streets a wonderful journey into Japan's modernity. 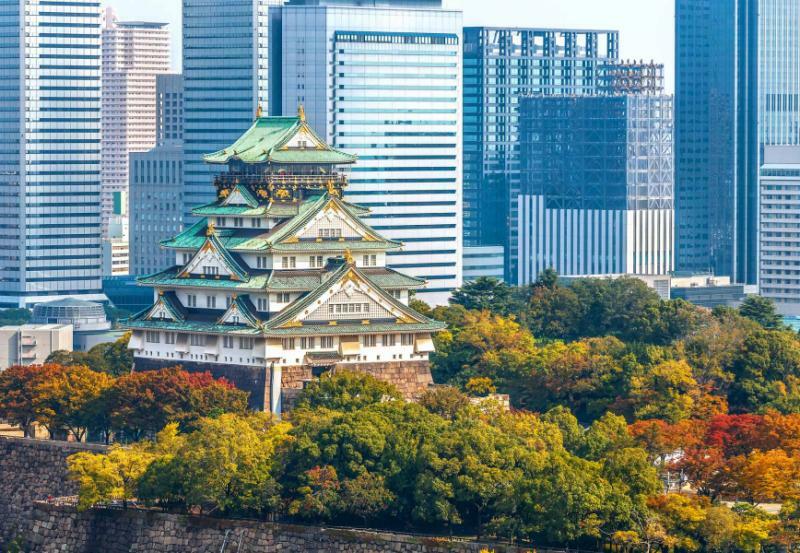 Osaka Castle offers a fitting contrast, a piece of history that keeps Osaka's future in check, ensuring the spirit of yesteryear isn't forgotten in the rush of futuristic intent. Travel here at 9am, arriving before the tourists to tour beautiful grounds of cherry blossom and the quaint harmony of what was Japan's largest castle. Continue the tour in Suita, where you explore the original Asahi brewery and the production behind Asahi Super Dry, the country's best selling beer. It's another symbol of Japan, the crisp taste complementing the modern blue-collar feel of Suita and Osaka. There's a number of options for evening entertainment and your guide can drop you at an Osaka Haishin Tigers baseball game, or Beer Belly, an atmospheric pub that specializes in the best of Japanese microbrews. Tonight's recommended dinner is equally reflective of the city's ambiance, Matsuzakagyu Yakiniku barbecuing Matsuzaka beef with soy sauce, wasabi, and salt, the yakiniku style providing something confident and self-assured. 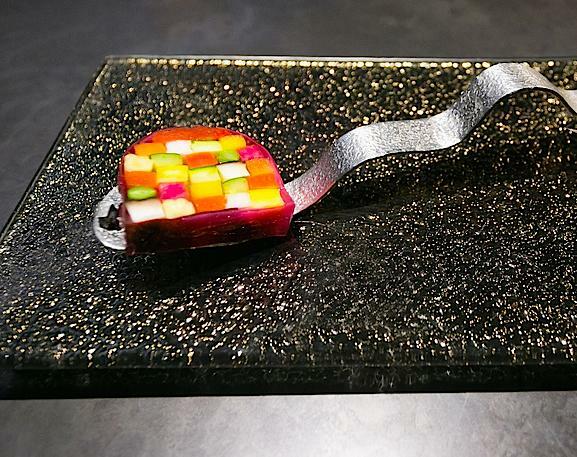 A final treat, a final evocation of Japan's spirit for celebrating tradition and pursuing perfection, a final slice of subtle brilliance before you leave Japan. From Osaka you use the JR Rail pass to return to Tokyo, the country's blur of valleys and cities flying past the window. Your luggage is transferred separately, so just sit back and watch the country unfurl. 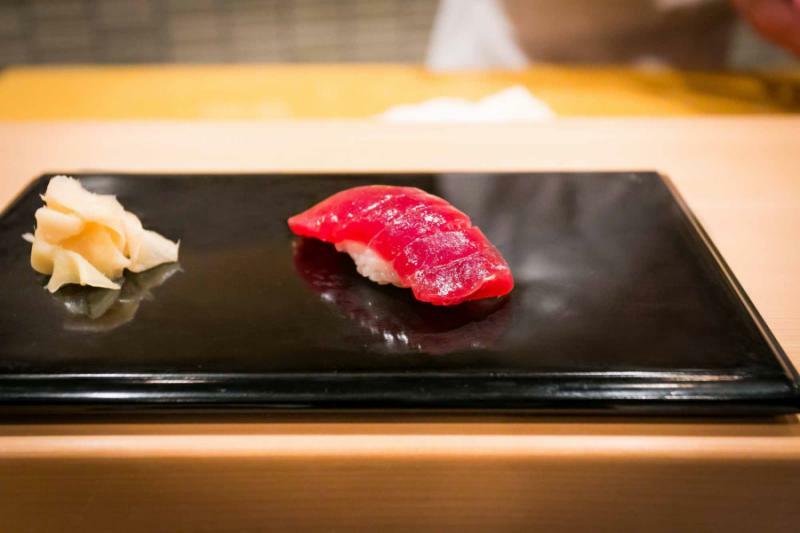 Tonight you have a reserved table at Sukiyabashi Jiro, immortalized in the Jiro Dreams of Sushi documentary, a restaurant of intimacy and authenticity with three Michelin stars. The restaurant has become a delicate snapshot of Japanese cuisine, chef Jiro Ono offering a varied continuation of dishes and mouthfuls that melt across the palate. It's so good that Japanese Prime Minister Shinzo Abe chose Sushi Jiro as the place to entertain Barack Obama. After the sushi as a recommended way to end the evening, slip next door to Bar High Five for an evening of cocktails with a panorama across Tokyo, a fitting end to a journey of indulgence and opulence. The tale of Japan's spirits comes to an end, the hotel's shuttle bus service taking you out to Narita International Airport and your international departure. "Of course the terra-cotta warriors were amazing, the great wall …everything!"